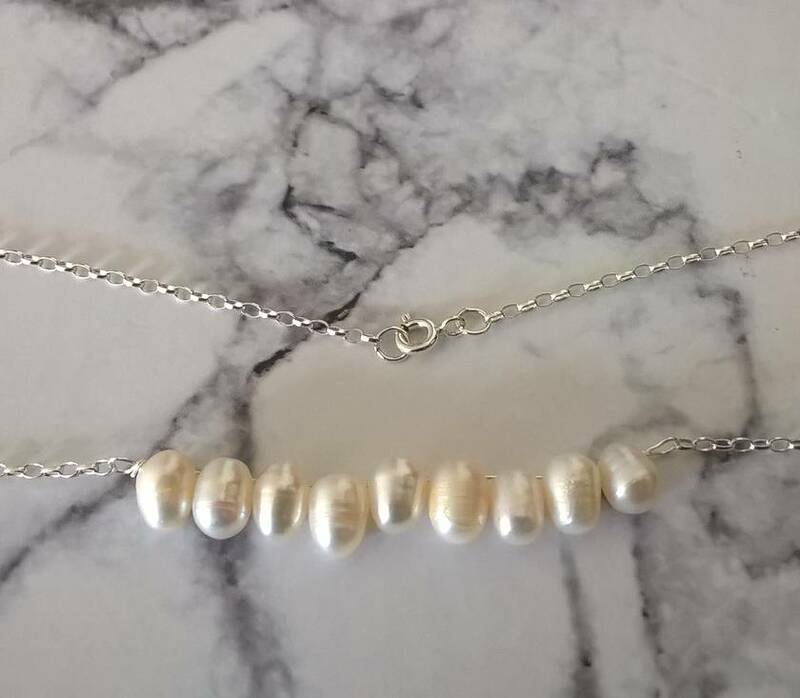 Classic, white freshwater pearls have been wire wrapped in a horizontal bar style and attached to a sterling silver belcher chain and finished with a small bolt clasp. 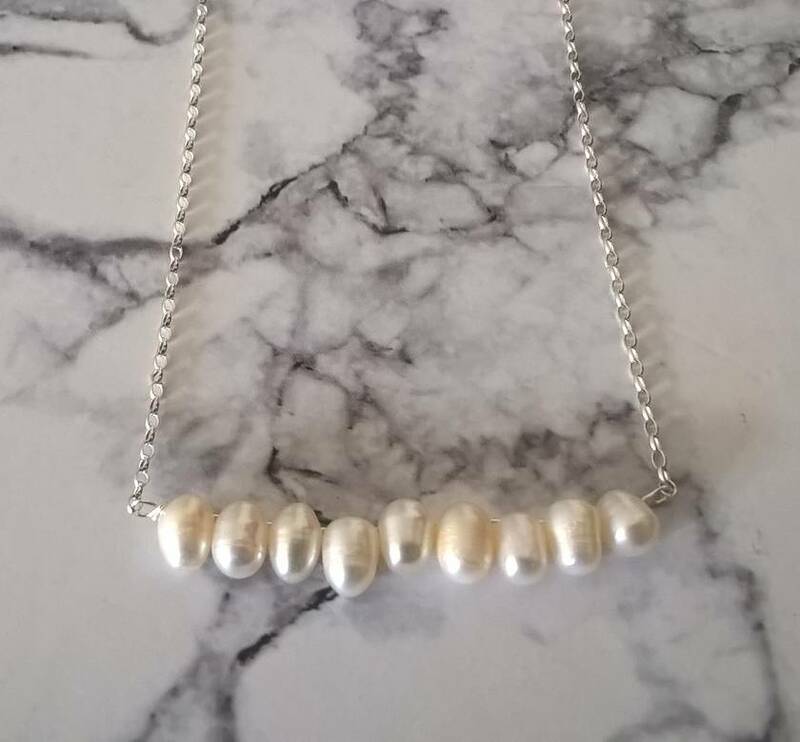 The bar consists of 9 pearls with an average size of around 7x5mm. 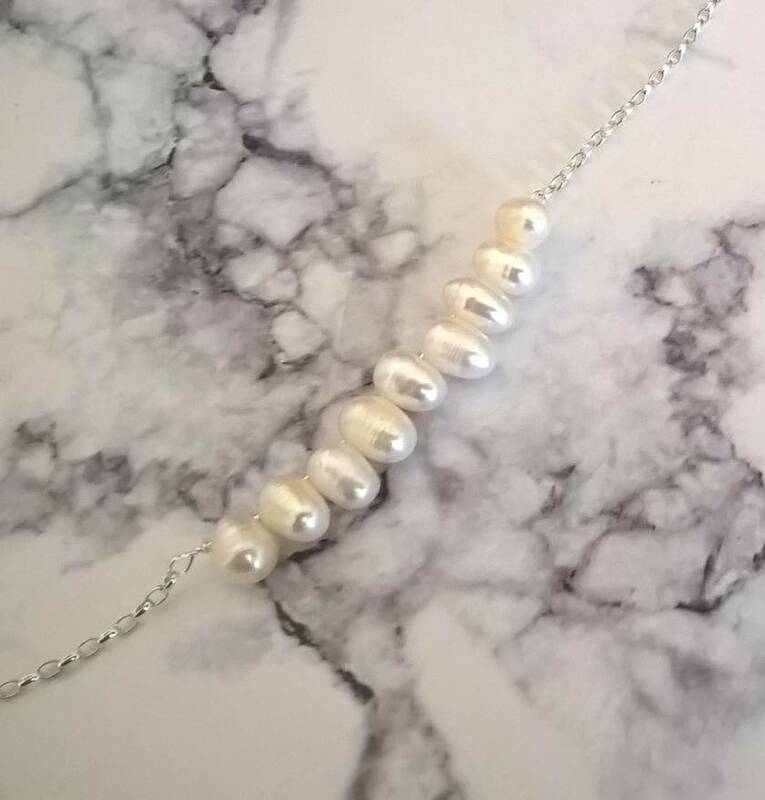 Please note: Freshwater pearls will have some irregularities with their form and texture. This is all part of their natural characteristics and what makes them so unique and special.